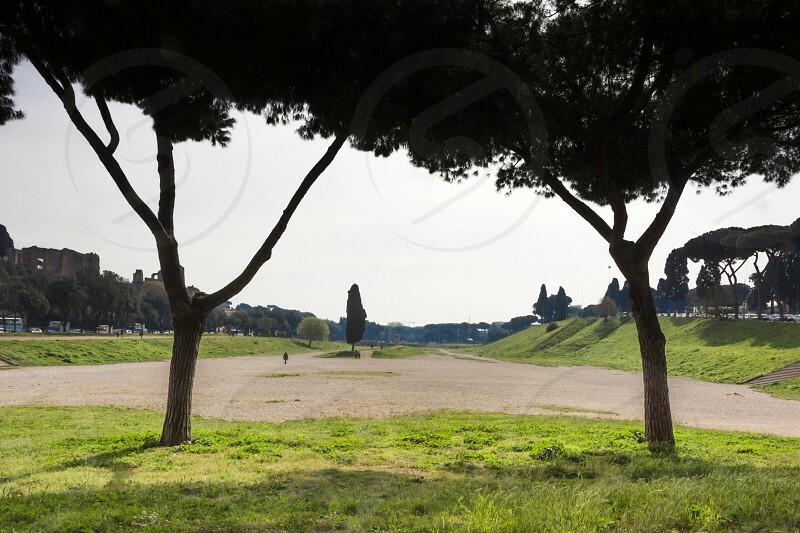 The Circus Maximus is an ancient Roman chariot racing stadium and mass entertainment venue located in Rome, Italy. Situated in the valley between the Aventine and Palatine hills, it was the first and largest stadium in ancient Rome and its later Empire. It measured 621 m (2,037 ft) in length and 118 m (387 ft) in width and could accommodate over 150,000 spectators. In its fully developed form, it became the model for circuses throughout the Roman Empire. The site is now a public park.